After attending and organizing years of birthday, baby showers, wedding showers, retirement, Bar/Bat Mitzvah, Confirmations, housewarming and going to college parties (and on and on), I realized there were many parts of the process that could benefit from technology automation. The first was sending out online invitations instead of paper. We really appreciated that option recently when, 4 weeks before our twins Bnai Mitzvah, the venue closed and we had to find a new location. 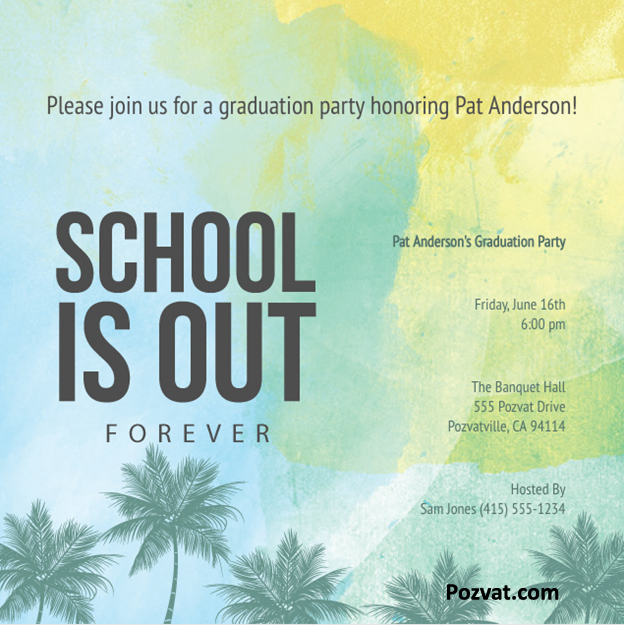 Luckily I had sent out online invitations through email, so it was easy to communicate the location change and even change the location on the invite online. Saving paper is also environmentally friendly. But the gift giving and thank you card process is still a challenge. The mix of many small gifts including numerous types of gift cards that sometimes get lost, knowing what type of gift to buy, and finding the time to shop is still a challenge that can use some help. While we do agree that sending handwritten thank you notes is always best, when you are talking 100 thank-you’s with kids that are already up too late doing homework for school, some automation would help with that too. The invitations and thank you cards are free to use because they make money by charging an 8% service fee for the contributions towards the group-funded gifts (comparable to other crowdfunding websites). A portion goes to their credit card processor and the remaining amount allows them to “keep the lights on” (as you say for startups). However there is also an option to group-fund the service fee by adding it to the price of each gift. You do not need to add gifts right away, but when it comes time, you must add at least one to proceed to the next step. You may also add to or edit your gift list at any time. 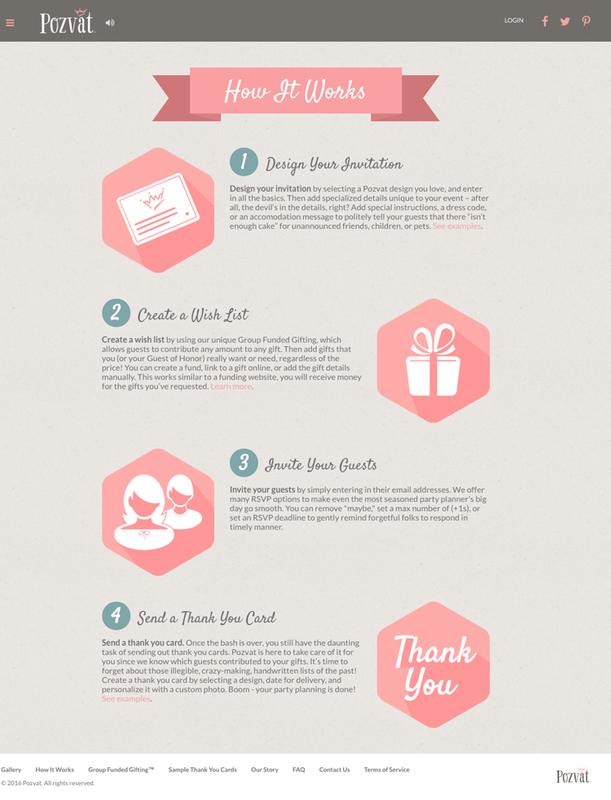 And if all of the gifts get fulfilled, a ‘Wish Fund’ is automatically added to allow guests to continue to contribute. Pozvat explained “the group-funded gifting works similar to a funding website — you, or the recipient of your choice, will receive gift contributions to purchase the gifts requested“. Gifts are processed with WePay. You may also choose a unique recipient for each event. Before you add the first gift, you will be asked if you or a recipient of your choice will be withdrawing the contributions. To select a recipient, you will need their name and email address. Pozvat explains that “once the recipient verifies their account, they will be given sole access to the gift contributions for the event. Please note: the recipient can never be changed“. This is a service that is best to use when a pricey or meaningful gift is a part of the invitation, because you can’t create an invitation without adding at least one group-funded gift. But there are not many events that don’t involve some sort of gift. Their vision is “to make gifting simple, because giving gifts is one of the best ways to spread love, joy, and happiness“. 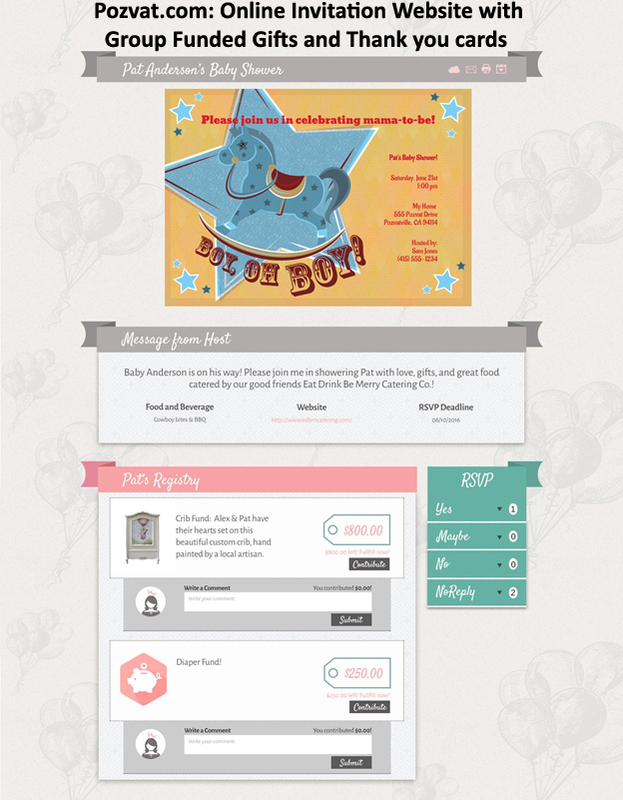 Pozvat (www.pozvat.com) announced the launch of its online invitation website — the first website that conveniently combines invitations, group-funded gifts, and thank you cards. Perfect for big events like showers, graduations, and birthdays. 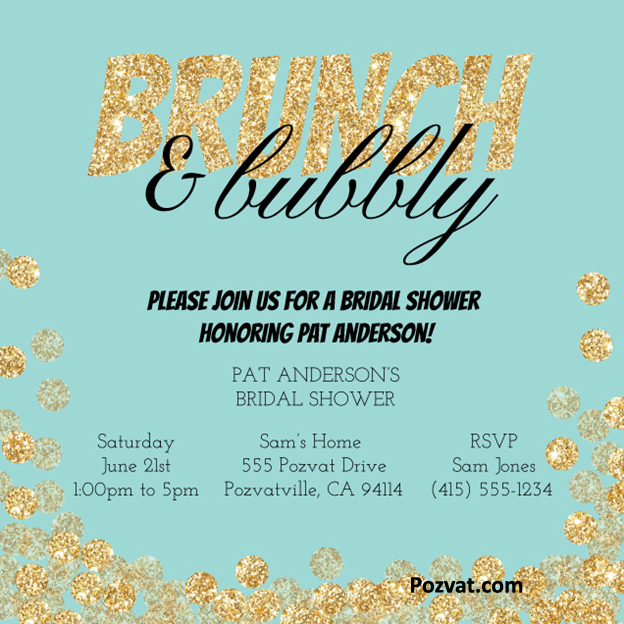 The stylish invitations can be customized to include the event basics, optional details, and RSVP options. Its group-funded gifting provides an effortless way for family and friends to contribute towards one meaningful gift. Lastly, Pozvat also offers an eco-friendly way to reduce the paper footprint wasted on cards, gift wrap, registries, and more. 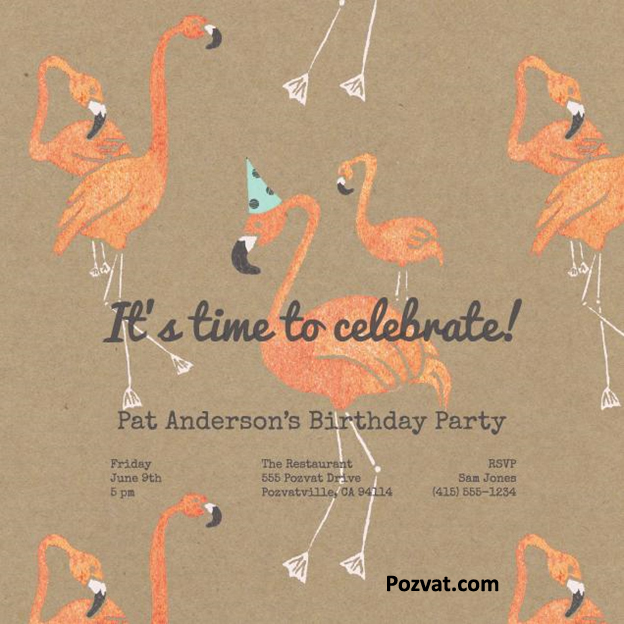 For a limited time, the invitations are FREE for party planners to use. Disclosure: This is an informational press post. I have not used the website yet but look forward to for my next event!